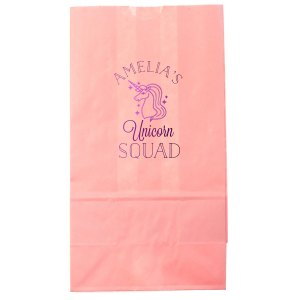 Creating your unicorn themed party supplies is all rainbows and glitter with For Your Party! 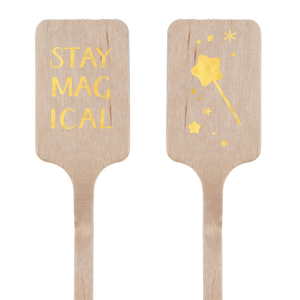 Give your party the pizazz it deserves with these magical party planning tips and fun personalized party products. 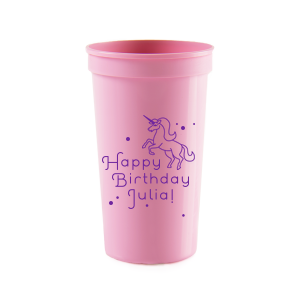 Unicorn birthday parties are all the rage right now, and so are unicorn summer parties! You really can theme any party with this whimsical look. After all, if you’re going to be entertaining a crowd, it might as well be with all the glitter, rainbows and happiness you can imagine. 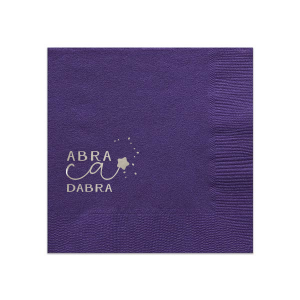 Personalize your magical party with unicorn party napkins, cups, favors and more. Shop our suggested designs below or create your own magical look today. 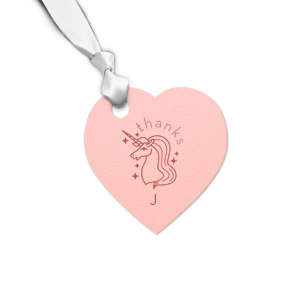 You’ve got your theme—unicorns! 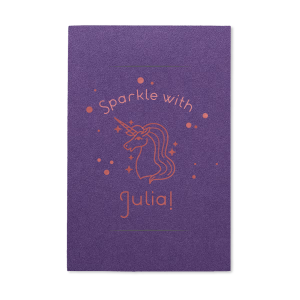 Now plan your party, keeping in mind all the magical things that equal unicorn: sunshine, rainbows, fields, flowers, glitter, sparkles, innocence, enthusiasm, all the color and lots more glitter. 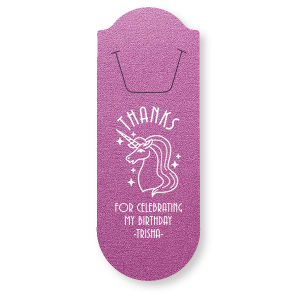 Unicorn themed party decorations should be over the top, because why not! 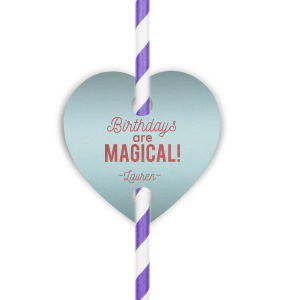 Make your event sparkle with balloon buntings and party fans and unicorn cut out banners everywhere. Deck out the party rooms with everything adorable glitz and fairy lights in the garden for extra twinkle, in case the party goes into the evening. Keep guests entertained with lawn games like toss the hoop on the horn, as well as plenty of big pillows and seating so that the sunshine can be enjoyed like unicorns. There are also giant blow-up unicorn sprinklers on the market these days—consider this a very worthy investment. Unicorn party food should be yummy but light and make you feel good—some adorable sweets, of course, but also fruit, cheese and easy nibbles. 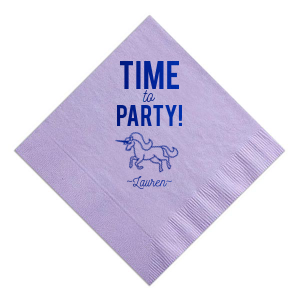 Serve your goodies on custom printed napkins with your unicorn theme for a party detail guests will adore; add a cute clipart or magical saying in your party colors. A drink station with various lemonades and agua frescas topped with adorable straw tags will keep guests refreshed and ready to party. An absolute must is a unicorn cake, complete with rainbow batter and all the pink and purple icing. Don’t forget the sprinkles!